At Authentic Carpentry LLC, your project is our passion. And if your desired project happens to be an awesome new deck, you’re not alone. Many homeowners today are creating outdoor deck designs of their home where they can entertain, relax, and enjoy time with friends and family. Whether you prefer natural wood or something more low-maintenance like composite, you’ll have a choice of a variety of styles and designs for your dream deck construction. If this is your first time adding outdoor decking to your home, we can help you choose a spot that will make your backyard more an extension of your home. Your new deck can be a great location to welcome guests or a perfect place to keep an eye on your kids, do your outdoor grilling, or relax with the addition of lawn chairs and tables. Outdoor decks are especially appealing to homebuyers today. The attention to detail that goes into our decks can boost your home’s value should you decide to sell it in the future. Our team can design and build a deck design that plays off of what you already have in your backyard or create an entirely new focal point that can be customized and accented with features such as deck and stairs lighting. The shape of your outdoor deck alone can be anything that naturally fits the space you have available. A deck is a great way to add space to your home without having to endure a lengthy project. 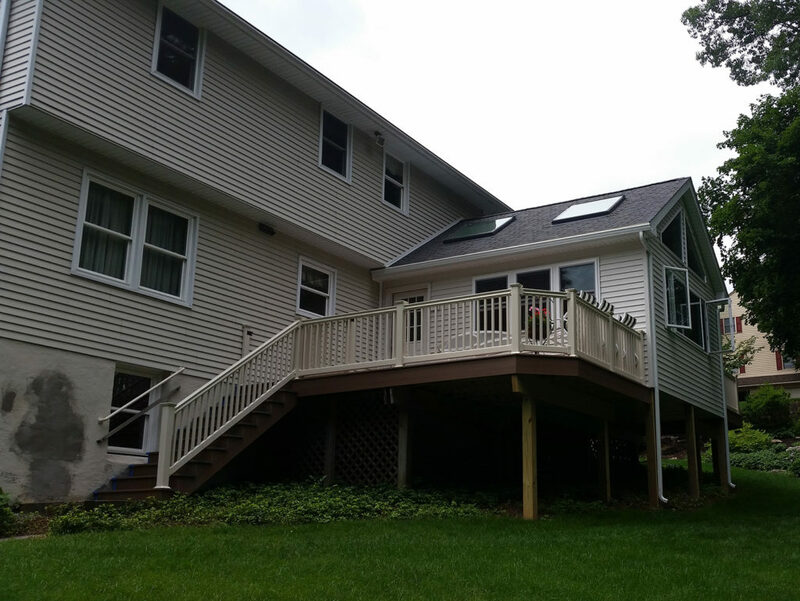 Our deck builders can plan and complete your deck fairly quickly in a way that’s not too invasive. And with our affordable rates, your new deck can easily pay for itself over time. After all, decisions have been made, all you’ll have to do is sit back and let us create a beautiful outdoor deck tailored to your needs and preferences. In addition to building decks, we build lasting relationships with our clients, and we hope to achieve the same goal as you. Contact Authentic Carpentry today to get an estimate for a new or updated deck.